There’s no question that new manager Jürgen Klopp has, in just a month at his new club, changed Liverpool for the better. After more than a year marked by dull football and some very poor results, the changes wrought by the German in a few short weeks have been nothing short of miraculous. The best performances and results, recently have come away from Anfield. Two fantastic results against Chelsea and Manchester City; a tense and well earned three points in difficult conditions in Russia; a promising, pressing first performances against Tottenham. On the road, Liverpool have looked great. At home, there’s still work to be done. Liverpool’s improvement under Klopp has been stunning, and with it continuing against Manchester City following the November international break it’s clear it’s not just a case of the new manager bump. There are real, tangible improvements on display; a new mode of play and a newfound belief on display. And there’s still room for improvement. Let’s see what happens against Swansea this weekend. A new study has revealed the most expensive squads across Europe’s top five leagues and one of the eye-catching statistics is the fact Brendan Rodgers’ Liverpool squad cost more than German champions and European titans Bayern Munich, according to the Football Observatory. The Reds splashed out a hefty amount of money this summer with eight players coming to Anfield in the form of Christian Benteke, Joe Gomez, Nathaniel Clyne and Roberto Firmino. Meanwhile, Bayern were also busy with Douglas Costa and Arturo Vidal amongst those to come in, but it seems as though the Bavarian giants could do with giving Rodgers some advice on how to conduct shrewd transfer business. The aforementioned study reveals that Liverpool’s squad costs €344 million – the fourth most expensive in the Premier League – whilst Bayern’s is €337 million – the most in Germany, but seven million less than the Reds. Meanwhile, the study also confirms – not much of a surprise – that Manchester City have assembled the most expensive squad in England, after bringing in the likes of Raheem Sterling, Nicolas Otamendi and Kevin De Bruyne this summer. Rafa Benitez will have to cope with severe pressure this season after it was also revealed his squad is nearly €200 million more than rivals Barcelona, whilst the gulf in class is evident in Ligue 1 – Paris Saint-Germain’s closest rivals Monaco have a squad which is nearly €400 million cheaper. Liverpool Boss Brendan Rodgers admits the Club are looking for further additions to the squad before the close of the January transfer window. Yesterday I predicted that Pep Guardiola was going to join Man City. I thought my views were well informed given his recent comments about wanting to manage in England, and having looked at the likely clubs in the Premiership I was pretty pleased with my analysis. The former Barcelona coach, who is on a year-long sabbatical in Manhattan after leaving Camp Nou last summer, has agreed a three-year deal with the Bundesliga club and will replace Jupp Heynckes on 1 July. The Catalan will become the highest-earning manager in the club’s history – it has been mooted that he struck a separate sponsorship deal with Adidas, Bayern’s kit supplier – at around €10m (£8.3m) a year, a figure he might have eclipsed at any of his other suitors, with Chelsea having made their admiration clear last March and in the summer. 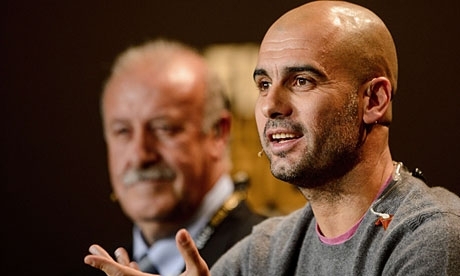 Yet Guardiola appears to have been attracted by the similarities between Bayern and Barça, both of whom thrive essentially on bringing players through their youth system and relying on their managers to oversee the first-team set-up, with others charged with recruitment. 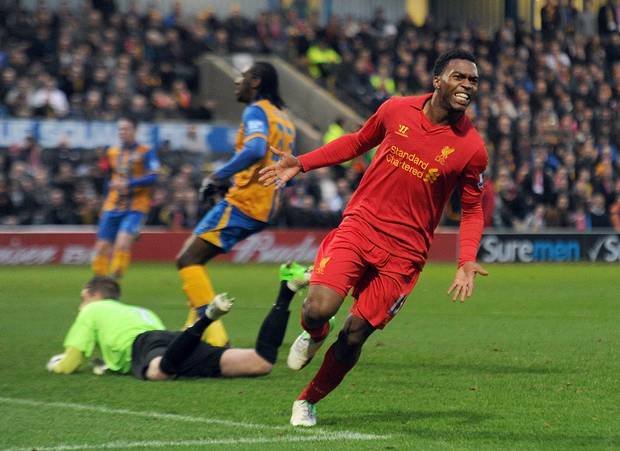 Liverpool move to the fourth round of FA cup with Daniel Sturridge scoring on his Liverpool debut which helped to beat Mansfield Town 2-1. Sturridge who just signed from Chelsea, took the lead in just seven minutes while Suarez made it 2-0 after just four minutes on the pitch replacing Sturridge in the 55th minute. Rodgers said in his press conference. Thankfully we got through and into the next round. 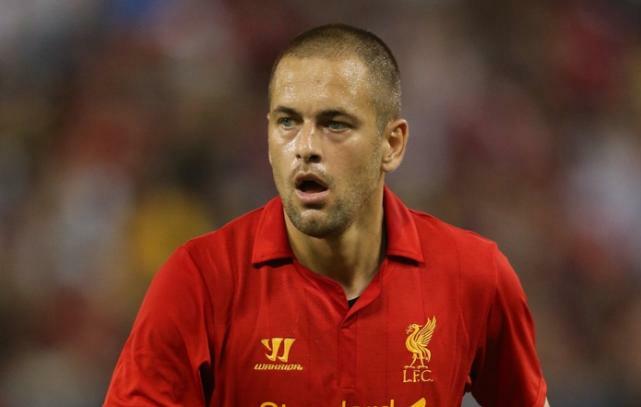 Looks like Joe Cole’s disappointing time at Anfield could soon be over after he has been told he is free to find another club. West Ham appear to be the front runners for his signature and have started talks. Reports are he will be available on a free transfer, Liverpool will have to pay Joe Cole a settlement tho to cancel his current deal and get his £100,000 a week salary off the wage bill. Joe Cole was signed from Chelsea on a free transfer in 2010. But after being sent off in his first match he never really settled in. He was then loaned to French club Lille last season. Unfortunately Joe Cole will likely go down as one of Roy Hodgson’s most costly transfers due to his ridiculous wages he was receiving while hardly ever playing. 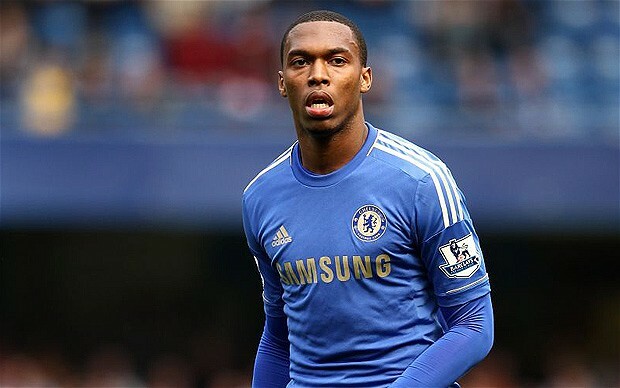 Liverpool look set to complete the signing of Chelsea striker Daniel Sturridge after he successfully passed a medical at Melwood. 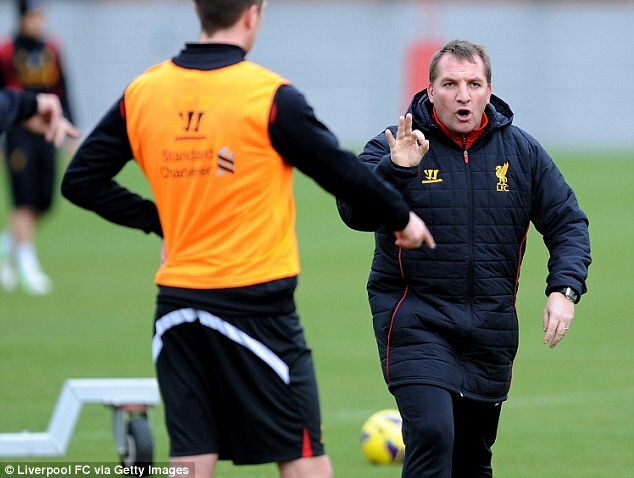 Liverpool will formally announce the deal when transfer window reopens on January 2. The fee agreed between the two clubs for the 23 year old is rumoured to be in the region of £12 million with a 3 and half year long contract. I think if Sturridge could be great for us, I just hope the deal goes through smoothly. What do you think?